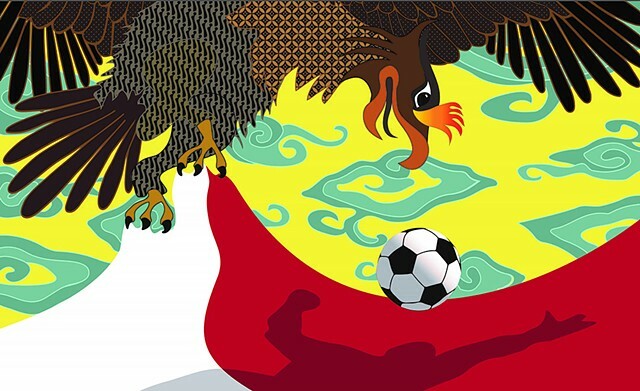 The mythical “holy” bird called the Garuda is seen on the country’s national emblem. Although the Garuda has roots in Hindu epics, Indonesia’s version is styled to be like the Javanese eagle. The “sky” is based on traditional Indonesian batik textile patterns of clouds. The bird is gripping the red and white flag. Traditional batik patterns can also be seen on the body of the bird.